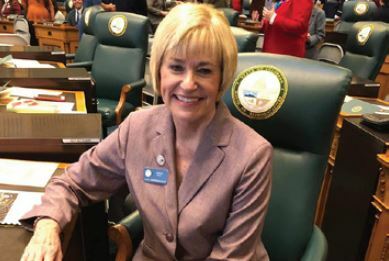 The 2019 session of the Colorado General Assembly began on January 4th and will continue through May 3rd. Governor Polis has proposed an ambitious plan that includes all day kindergarten, universal health insurance and initiatives to curb the effects of climate change. The legislature has already introduced a number of bills to address health care and insurance costs, along with expanded employer mandates. The Grand Junction Area Chamber of Commerce hosts videoconferences with our local delegation twice a month through April and has a trip to the State Capitol for Chamber members and the Mesa County Leadership Class later this month on February 21st and 22nd. The first bill the Chamber Governmental Affairs took action on was HB 1062 sponsored by Representative Janice Rich and Senator Ray Scott. The bill would allow the state to transfer the Regional Center property to a local government or higher education entity rather than list the property for sale which is what is required in the current statute. Of interest to many of our members are bills and proposed bills to assist them in dealing with the new Colorado Department of Revenue rules around the collection of sales taxes known as the sourcing rule. The grace period for enforcement was extended to May 31st so the legislature could weigh in on this issue. As of this writing one bill, SB 006 has been introduced to require the Department of Revenue to source a searchable online database of state and local sales and use tax rates and definitions for the 700 taxing entities in the state and to process returns and payments through the system. Another bill has not yet been introduced but would set a threshold for when taxes would have to be collected according to the customers location. For instance, a small business that does less than $200,000 in sales and 100 transactions where they ship to the customer could be exempted. The Chamber will continue to monitor this issue and work with other business associations throughout the state to ensure that small businesses are not harmed. Any member can ask Chamber staff for information about legislation or provide feedback to be shared with the Governmental Affairs Committee.